Perfect finishing touch to any formal event. Great for bridesmaids, pageants, balls, and even for the bride! 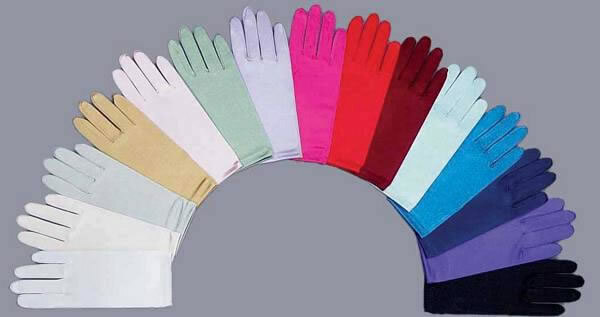 Wrist length gloves come right past the wrist to create a beautiful and elegant look. Satin stretch fabric is a one-size fits all fit. Offered in a wide variety of Colors!